Two stories this week highlight the growing trend toward nonprofit news media outlets as the publishing industry—and metropolitan dailies, in particular—tries to survive the technological and commercial changes that have almost destroyed it over the last decade. J-Lab explored nine efforts that have occurred within the last year, including creation of statewide news cooperatives in Oregon, Connecticut and New Jersey; building newsrooms from scratch in Denver and New Orleans; merging two existing newsrooms in St. Louis; and adding reporting capacity in San Diego, Salt Lake City, and western North Carolina. These are clear examples of how public broadcasters are stepping up to become critical linchpins for state and metropolitan area news networks as traditional news sources, both print and broadcast, decline. In some cases, they are emerging as the only serious local journalism around, partnering with independent news startups that have proven credibility in their communities. The report by Ms. Schaffer goes on to give a number of specific examples of success stories. 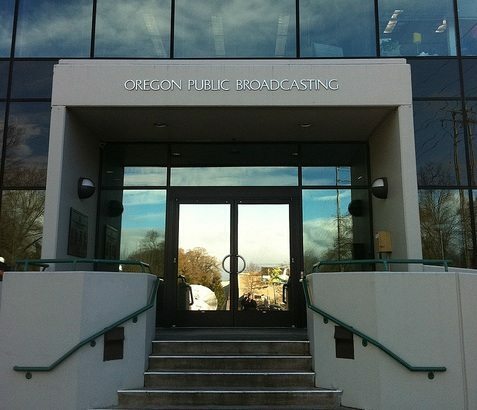 In the last year, public media outlets have been developing local news reports that offer greater depth than the existing public broadcasting fare, and are airing more investigative and enterprise journalism than commercial outlets ever did. Unconstrained by the competitive pressures at commercial media and leveraging the trust in their brands, they are employing creative approaches: mergers, divvying up the cost of reporters, sharing newsroom space and joint fundraising with their partners. The other piece, from Virginia’s Arlington Patch, talks about the Arlington Mercury, a nonprofit online news site that has been granted tax-exempt status by the IRS after nearly a two-year wait. With that critical IRS letter in hand, Mercury editor Steve Thurston said the website will go on hiatus for the rest of the year, in order to regroup and raise funds. The Mercury launched its website in 2011. Thurston, who has taught journalism for 15 years at Montgomery College in Maryland, has been running the site with a rotating staff of volunteers ever since. It focuses mostly on issues at the neighborhood level. Now serious fundraising can begin. The Mercury is one of an expanding list of nonprofit news ventures over the past several years to have its tax-exempt status delayed by the IRS, as the agency rewrites the rules governing such organizations. The site will stay live, but there will be minimal new reporting on it as Thurston and his colleagues concentrate on raising money. Traditional news media have taken a beating since the turn of the 21st century, and metropolitan newspapers have been hit the hardest. The rapid pace of technological change and concurrent changes in consumer behavior have pushed many publishing companies, often hampered by the sclerotic leadership of third-generation managers who were asleep at the switch, into bankruptcy and oblivion. People consume news differently now—primarily online—and the consolidation of retailers and changes in advertising practices have dried up the display ads and classifieds that were the bread and butter of metropolitan dailies, forcing draconian cuts in their newsrooms. At the same time, consolidation and increased financial pressures on TV and radio broadcasters (further challenged by competition from the Internet) have led to significant cuts in the breadth and depth of broadcast journalism all across the country.